Luxury cruise is the ultimate travel experience, catering for the most sophisticated tastes and offering atmosphere of perfected elegance and delightful opulence. Once you come aboard your six-star cruise ship, you will come to re-define the term luxury, and realise that a truly special cruise holiday is only just beginning. A great welcome onboard awaits; enjoy the finest cuisine provided by world famous Le Cordon Bleu chefs. Their signature menus and exquisite skills will give you a gastronomical experience never to be forgotten. The blue ribbon accommodation ranges from the most elegant staterooms to magnificent penthouses and suites where grace defines every detail. Relax and enjoy the most salubrious of onboard accommodation, virtually all with private balcony. Luxury cruises mean luxury service. They are masterfully trained, highly skilled, unobtrusive, kind and caring people. Whether their role is stateroom stewardess, penthouse butler, gentleman host or dining room steward, service is always impressive. They love what they do. And it shows. Jackets and ties are generally the rule for dinner, tuxedos are not uncommon and the dress code which tends to the formal side is observed faithfully. Cruise Harbour offers you a great choice of renowned luxury cruises from Azamara, Crystal Cruises, Hebridean, Oceania Cruises, Regent Seven Seas, Seabourn, Seadream, Silversea, Windstar and other luxury cruise lines. Hotel stays on extended cruises. Generous onboard credit and many more. Anything you may wish, really. 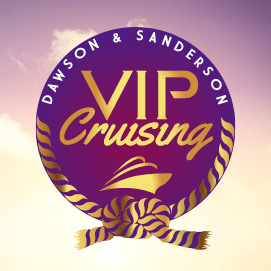 To enquire about luxury cruises please contact our cruise specialist on 0800 542 9021 or enquire by email.